I’d only been to the Tahoe House Bakery two times before, but the women behind the counter addressed me by my first name when I ordered a bacon cheddar scone and a decaf latte. I smiled honestly, but nervously, caught off-guard by the familiarity and the friendliness. As I waited for my drink, I noticed she called everyone by their first names and I decided she must be a genius or a savant of some sort. Why was it so hard for me to believe someone was just friendly? Had I lived in New York and San Francisco for so long that I had forgotten what genuinely friendly people acted like? It’s a vibe I’ve felt over and over since moving to Tahoe City, California for the winter. For years, my husband and I had visited for the skiing, but we recently moved for six months to enjoy the small town feel and slower pace of life. Maybe I did want strangers to call me by my first name. When you think of iconic ski towns, you typically envision Park City, Aspen or Jackson Hole. That’s fair. But Tahoe City should be on the list too. In fact, it should be high up on the list and congratulated for its more low-key sensibilities. Despite the town’s modesty, there are few places in the world where you can ski 10 very different resorts within an hour of where you’re staying. And with a growing population, Tahoe City is home to a vibrant local community that offers so much more than just skiing and snowboarding. Less than an hour drive from the Reno, Nevada airport via CA-89 N and I-80 E, Tahoe City is an easy place to fly to for a weekend or longer stay. Alaska Airlines offers nonstop flights to Reno from San Jose, Boise, Seattle and Portland. By flying Alaska, you can cash in on a free afternoon lift ticket at Squaw Valley. Say hello to bluebird days at Squaw Valley Ski Resort. Give them a pint and some locals might say organized downhill skiing was born here. While disputable, rumor has it California gold miners were the first people to race on skis through the Sierra valleys, topping speeds of over 100 miles an hour for fun and sport. Squaw Valley and Alpine Meadows are often the destination resorts for many visitors to the Tahoe region. 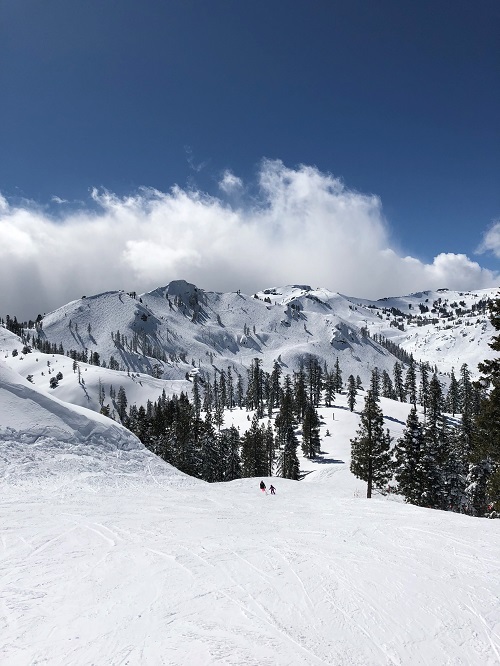 The host of the 1960 Winter Olympics, Squaw’s 3,600 skiable acres offer skiing and riding California-style with kinder temperatures and more bluebird days than you’ll get in many of the Colorado and Utah resorts. Squaw’s stunning aerial tram offers non-skiers a 2,000 vertical-foot ride up to the resort’s High Camp with panoramic views of Lake Tahoe, a mountaintop pool and ice skating rink. Come springtime, the pool is known for rowdy parties that inspire more than a few folks to ski in swim trunks. When you fly into Tahoe City, head straight to Squaw and present your same-day Alaska boarding pass with a matching photo I.D. to receive a complimentary afternoon lift ticket good for the day you arrive. By flying Alaska, you can cash in on a free afternoon lift ticket at Squaw Valley. If you’re looking for a backcountry tour, you’ll be hard-pressed to find a more experienced guide than Eddie Bauer Guide Adrian Ballinger, a Tahoe local who uses the Sierras as his home base when he’s not hiking Everest or Manaslu. Ballinger’s Alpenglow Expeditions offers beginner and advanced back country tours right off the Squaw lifts. In the winter months, Alpenglow’s experienced guides also offer snowshoe tours through the mountains for the entire family. Squaw’s sister resort, Alpine Meadows, is a bit more laid back than Squaw. But its 2,400 acres, seven bowls and 100 trails are often preferred by locals trying to beat the weekend and powder day crowds. Homewood offers skiers stunning lake views and more than 750 acres of backcountry terrain. Courtesy of Homewood Mountain Resort. About 20 minutes down the road and around the gentle curve of Lake Tahoe, Homewood Mountain Resort offers epic lake views from just about every trail. Peering down from the peaks, you’ll often feel as though you’re skiing directly into the cerulean blue waters of the lake. Homewood’s latest offering is snowcat skiing with access to more than 750 acres of backcountry terrain. All-day packages (starting at $399) feature a fully guided trek through the mountain’s out-of-bounds terrain, including tree-runs, steeps and powder bowls. I usually try to schedule my Reno flights for later in the afternoon or early evening so I can get in a day or a half day of skiing one of my favorite mountains in the Lake Tahoe region, Mt. Rose. This mountain has Tahoe’s highest base elevation which means the ski season tends to be a little longer than other Sierra resorts. Mt. Rose conditions and snow are also often completely different from the resorts around the other side of the lake. It’s an easy mountain to love with a parking lot where you get directly out of your car and walk onto a chairlift. That’s why I like to hit Mt. Rose en route to the airport. There’s no fuss. I ski a few hours, get back in the car and I’m at the airport in 25 minutes or less. While Mt. Rose is wildly family friendly, it isn’t just for kids. Their 200-acre chutes offer pitches of 40-55 degrees. But that’s not all. Not even close. 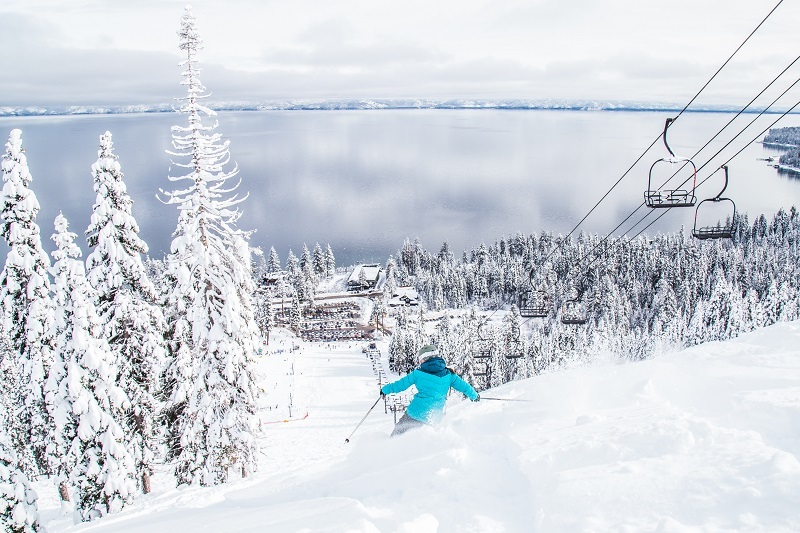 Within a 60-minute drive in either direction around the lake, visitors can reach the resorts of Heavenly, Northstar, Sugar Bowl, Diamond Peak, Sierra at Tahoe, and Soda Springs. And for something a little flatter, Tahoe XC offers 65 kilometers of groomed trails through forests and meadows for cross-country skiing and snowshoeing. There are even dog trails and baby ski carriages available for those looking to exercise with their dog or child. I’m personally partial to Tahoe XC’s warming huts, the perfect place to kick off your skis and snowshoes, and enjoy a picnic and hot chocolate. The Pioneer Cocktail Club serves up fun seasonal cocktails and holiday cheer. At some ski destinations, the outlying neighborhoods are an afterthought. “Just get me on the mountain already,” you might say. Or, “I’ll just hang out in the lodge.” But you’d be missing out if you didn’t get off mountain explore Tahoe City. The best nights, and sometimes days, usually start with a cocktail. 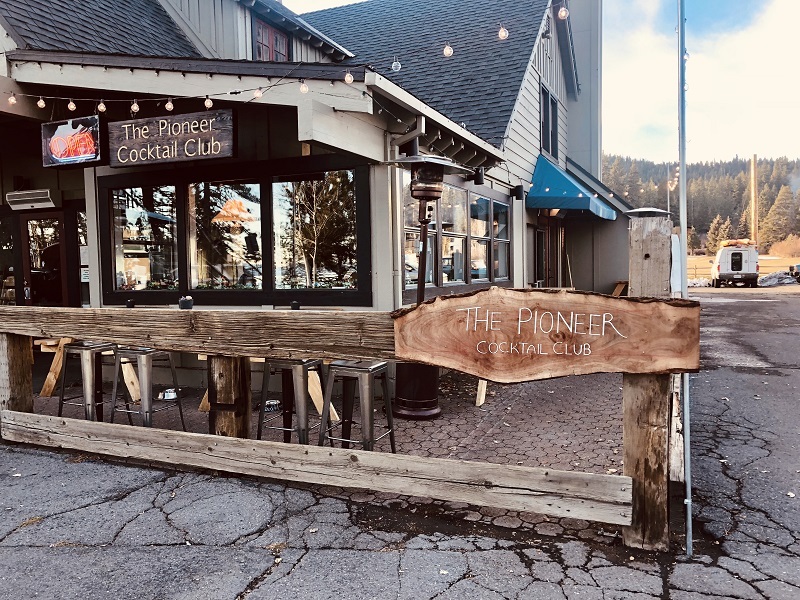 A new addition to town, Pioneer Cocktail Club, brings high-end mixology to the Sierras with its seasonal menu of specialties. Now through the end of the year, the space is decked out in holiday cheer and so is their cocktail menu with drinks like the Snowball Old Fashioned (it comes with an actual snowball inside) made from butterscotch rye, spiced brown sugar and wormwood bitters. The Run Run Rudolph is made from gin, mulled wine puree, lemon and prosecco. Pioneer Cocktail Club’s Snowball Old Fashioned comes with an actual snowball inside! To get a general idea of the hometown vibe, head to the Yoga Room on one of the first Fridays of the month. That’s when the second-floor studio offers a 75-minute yoga class followed by a glass of wine just a flight of stairs down at Uncorked, the town’s delightful wine bar. 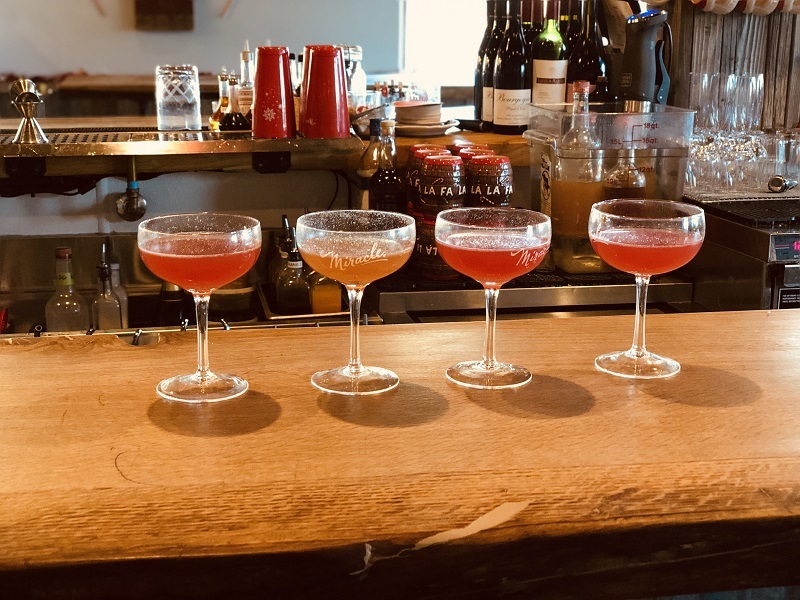 The wine and yoga pairing draws visitors and locals alike who typically mingle for more than just a glass or decamp to the next-door Tahoe Art Haus and Cinema, the region’s only cinema and draft house, for their 8 p.m. movie. Art Haus gets plenty of big-name features but also screens indies, documentaries and environmental films with a particular focus on protecting the mountains and water surrounding the town. Working from the mountains? Tahoe Mill Collective is a co-working space offering daily and weekly passes. Sometimes you don’t want to go out to see a movie. Sometimes you just want to curl up underneath a blanket on the couch. The majority of Tahoe rental cabins, and even the hotels, still have a movie player of some sort. Thankfully the Video Stop (yes, an actual video store) can service all of your DVD needs. I’d forgotten how much I missed video stores until I walked into the Video Stop (to get there you have to go through the Lost Sock Laundromat). I noticed movies on the shelves I had entirely forgotten that I wanted to watch and felt a keen nostalgia for long family visits to Blockbuster. Their helpful staff is keen on recommendations, much like walking into your favorite indie video chain back in the mid-nineties. The prices are pretty good too – four movies for seven days for $7. 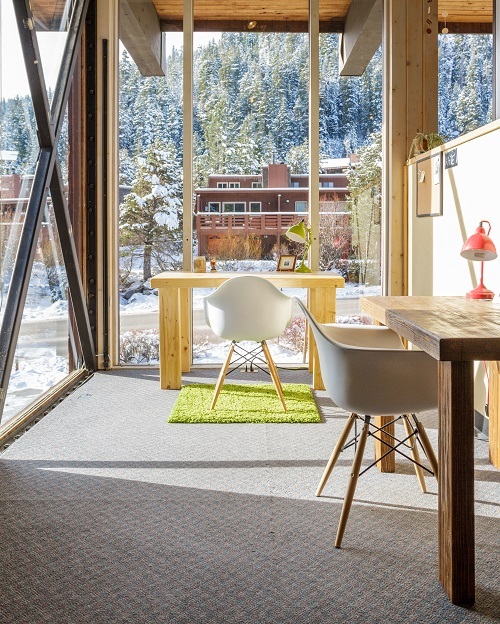 In case you can’t tear yourself entirely away from work during your vacation, Tahoe City is now home to its very own co-working space, the Tahoe Mill Collective, offering a drop-in rate for daily visitors ($30) or a weekly mid-week pass ($75 with reservation). 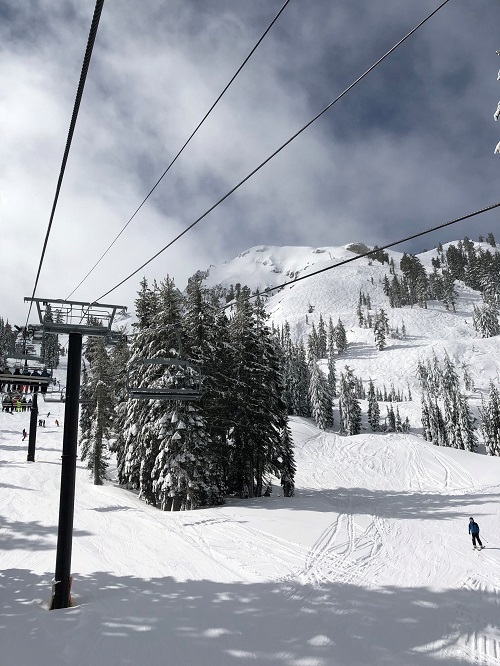 The Mill is located right at the main turnoff to Alpine Meadows and just a few minutes from both Alpine and Squaw, making it easy to clear your inbox right before hitting the slopes. Tahoe City Winter Park is fun for the whole family with ice skating, sledding, cross-country trails and more. Tahoe City may be one of the family-friendliest towns, and the Tahoe Library is no exception to the rule. The library offers a weekly story-hour Thursdays at 10:30 a.m. for kids under the age of 5 and their caregivers. Their children’s lounge also offers a plethora of board games, puzzles and toys for all ages in case your forgot to pack your own. I always forget to pack my own. 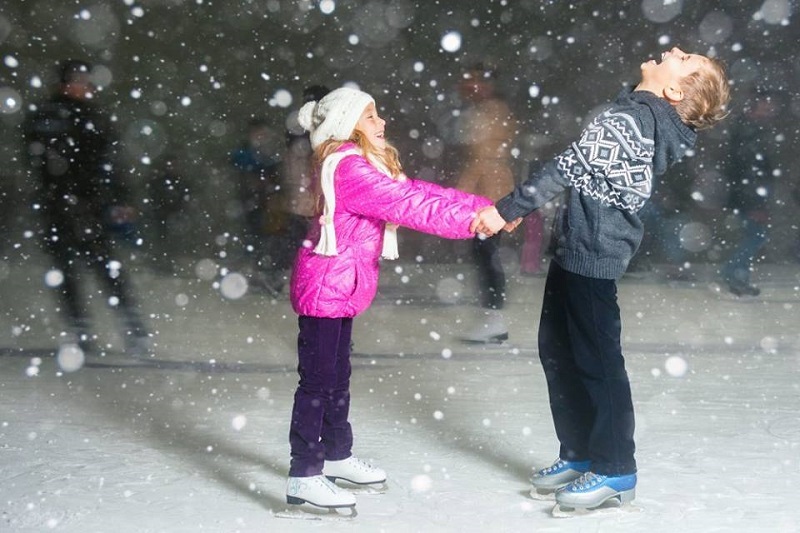 After story hour, get the kids outside at Tahoe City Winter Sports Park for ice skating, sledding, snowshoeing and fat biking. There’s even a full-service bar and restaurant for parents to tuck into while the kids play. The park also contains 4 kilometers of cross-country trails that are perfect for beginners. Top image courtesy of Homewood Mountain Resort. 3 comments on "Tahoe City: Come for the world-class skiing, stay for the small-town vibe"
I am very much attracted to outdoor sport venues, but largely just for the scenery. At 74 years old and in generally poor health, I can no longer handle once-simple things like stairs and uphill walks, and I even have difficulty with flat walks due to balance problems. Are there attractive places for an old, multi-handicapped veteran like me? -The bike path along the river gets plowed for a lot of the season and is wheelchair accessible. -The restaurant at the Sunnyside resort is right on the water and has beautiful views.